Mazda MX-5 was debuted in 1989 in Chicago Auto Show as a successor to European racing cars of 50s and 60s. It went on to become an immediate hit. Now 30 years later Mazda is bringing back the Special Version to mark its 30th anniversary. 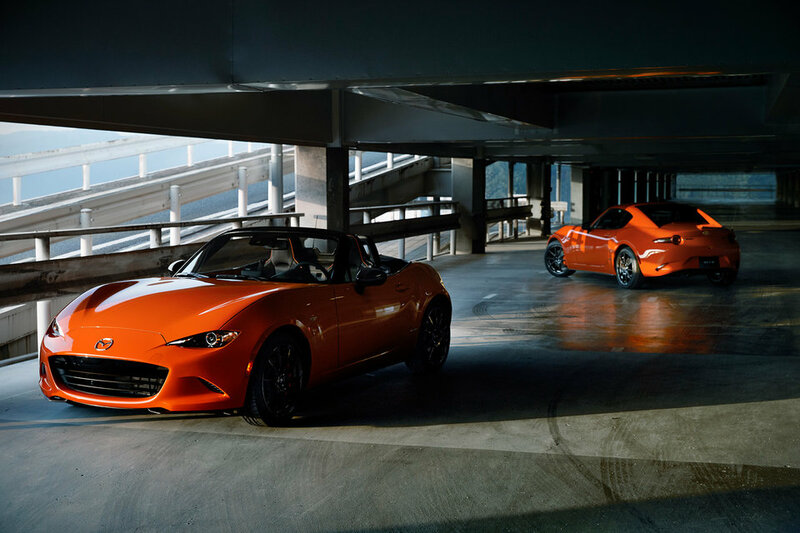 Mazda MX-5 Miata will be available in both soft top and RF Targa version. It got the Racing Orange Paint and sits on RAYS ZE40 17 gun metal forged alloy wheels. It got the SKYACTIV-G 2.0 L engine which is capable of producing 181 horsepower. The car is limited to 3000 units worldwide and 500 units for USA.